First signs of a 5G iPhone? Apple may be expanding its phone tech well beyond rumored iPhone 8 upgrades with new evidence pointing to the tech giant gearing up to test 5G wireless communications. 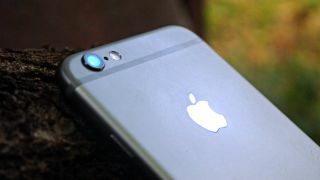 The iPhone maker has applied for a license with the US Federal Communications Commission to test millimeter-wave wireless technology, possibly hinting at a way to increase the upload and download times of connected iOS devices, according to Business Insider. Apple anticipates taking up to a year to complete testing, meaning we likely won't see the fruits of its 5G research in time for this year's iPhone, but more realistically around the time the iPhone 9 is in development. However, as US mobile carriers like Verizon, AT&T, Sprint and T-Mobile put forth plans to install 5G networks of their own between 2019 to 2020, Apple's test timing could prepare it for a 5G iPhone just as the new cellular standard starts to take off. Specifically, Apple wants to test 28GHz and 39GHz wireless bands beamed between two locations in California. It's unclear what exactly Apple is planning to do with the tech, though the application mentions using 28GHz bands for earth-to-space transmission. This astronomical connection is particularly intriguing as reports from last month claim Apple hired two former Google executives experienced in space engineering as part of a plan to launch its own internet satellites. Though the threads are still faint, Apple could be gearing up for a 5G iPhone – ready in time for 5G network launches in the US – which could possibly tie in with a broadband offering transmitted from space. Intriguing, no? For now, the famously mum company hasn't made any formal announcements regarding satellite coverage or 5G connectivity. As for when we will learn more about what Apple is cooking up these days, we have high hopes for June 5 when Apple's WWDC 2017 event kicks off.